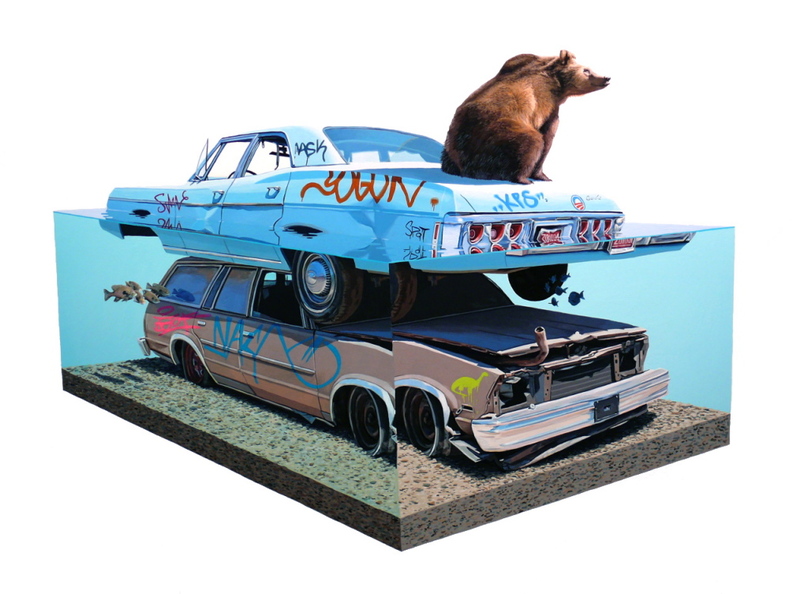 There are still some Josh Keyes latest print 'The Call I' available at David B. Smith Gallery website. 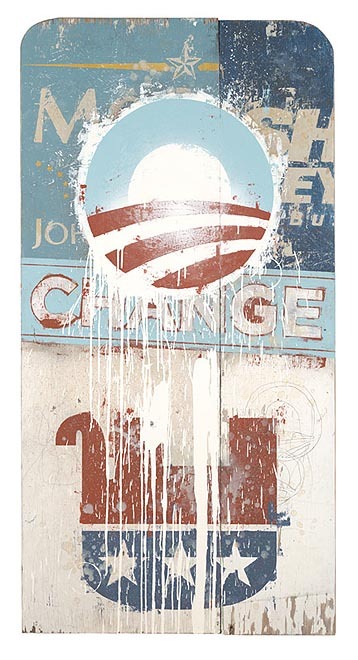 Here is a ridiculous print from Bask, 'Change We Need' is by far my favorite Obama themed print! 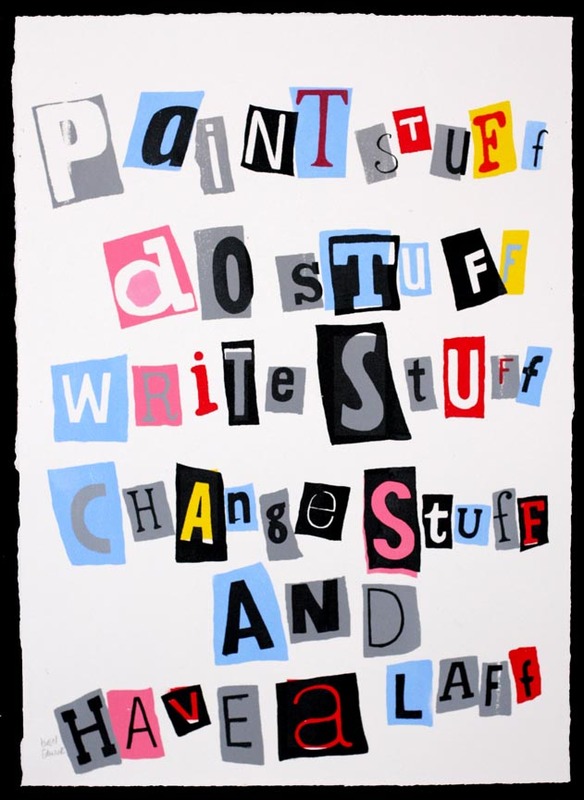 Right up there with the Derek Hess 'Change' print. There are only 100 in the edition and they are available now from Outer Edge Studios. Damn, I would love to own the original!! Here is another great design from the cats at Burlesque Design, they have consistently releasing amazing art! 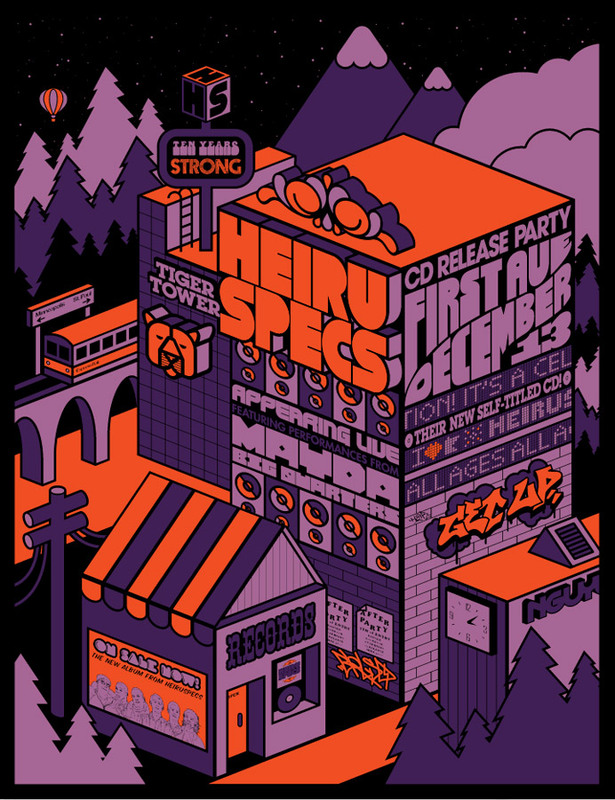 Above is the latest release 'Heiruspecs' is awesome. 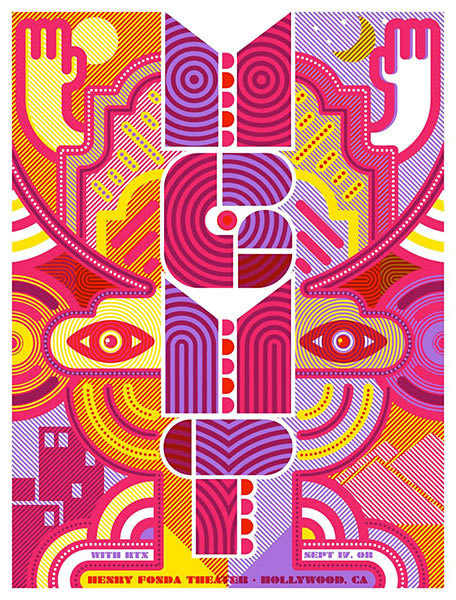 Below is the killer design they did for a MGMT gig. These guys also helped bring us the David Choe 'Exodus' masterpiece which has an incredible 18 layered screenprint. Watch these guys!!! "As part of the Manifest Hope exhibition in Washington, DC - "Change We Made" was created to commemorate the inauguration of our 44th President, Barack Obama. Each print is hand pulled and painted, therefore no two prints are alike. 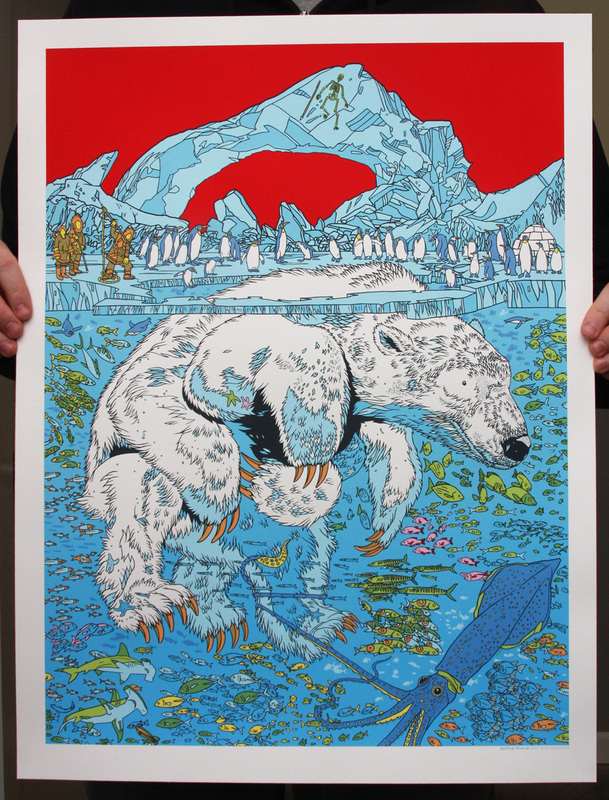 They are 2 color silkscreened prints each is signed and numbered. Exclusive Limited Edition of only 44, in honour of our 44th President"
Here are the details for the upcoming Jermaine Rogers. 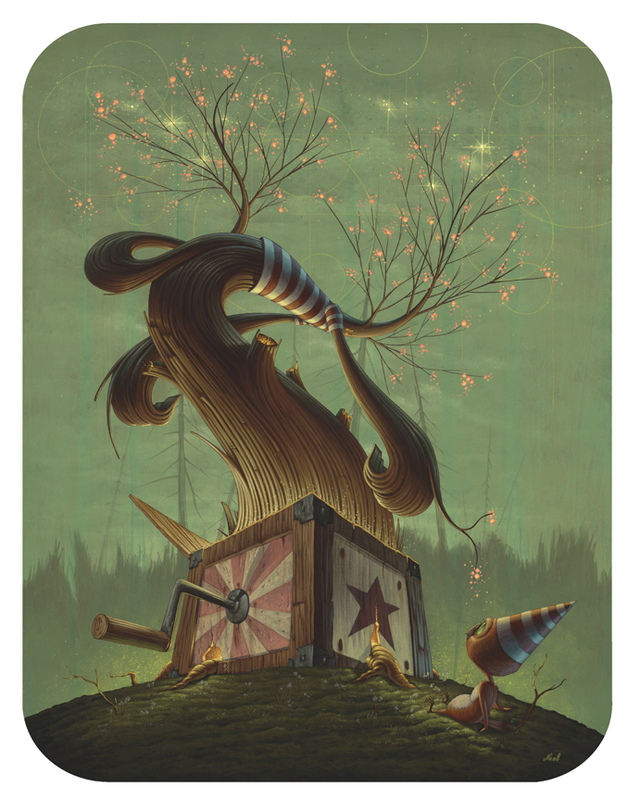 The print is called 'Uncle' it is 19 x 25 inches limited edition of only 60 and there is no price available yet! (probably $60ish) Check out the this link to his site and read his awesome thought behind this image. Very thought provoking indeed!! Stella Dore just released two very different contrasting prints. 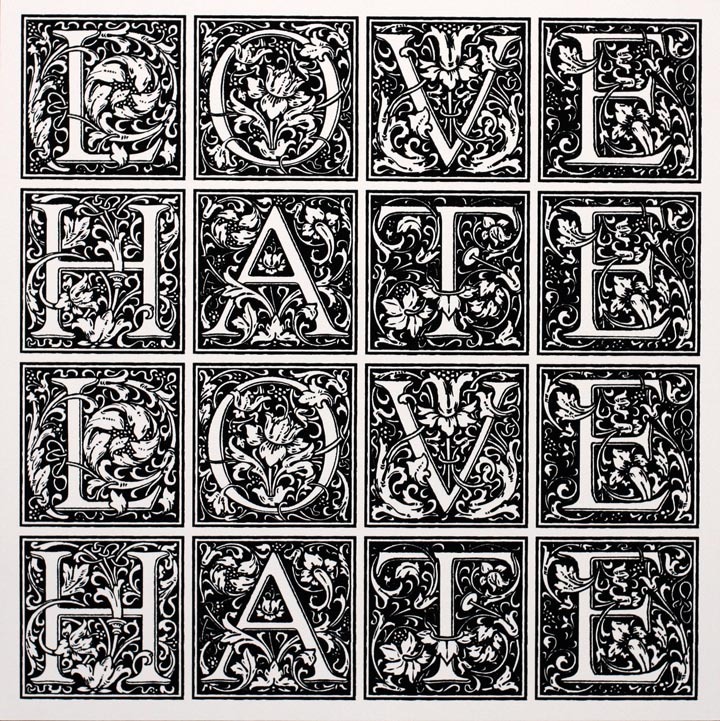 The first one is 'Love Hate' by I-Lib and the second one is 'Paint Stuff' by Tinsel. "$20 gets you one of each figure, and one of three 5x5" mini-prints, which are ONLY available through me. The prints are random and come in little cardboard sleeves to protect them in their travels. I'm very excited to finally have these after 2 years, after production delay after delay overseas. These are my own special release of the Jamungo Nade figure. 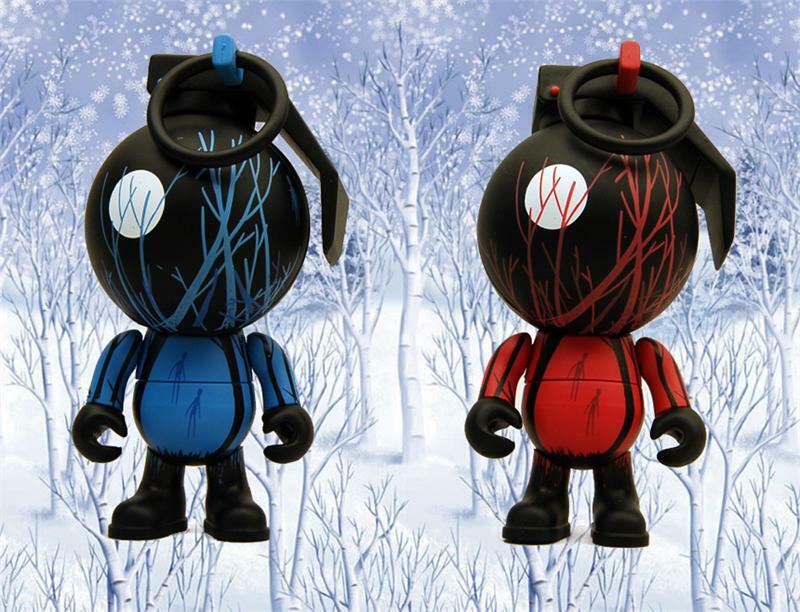 Each figure is 3.75" tall and there are 500 red figures and 500 blue figures. They come in their own custom box featuring some creepy wordplay designed by myself as well. I only have half the run, and the other half will be available at places who typically carry Jamungo toys. These dudes will not be part of the 'bud-of-the-month' club. As the best kind of toys do, these contain small parts, so they're more for the 'fun thing on your desk at work' and 'my Dunny/Munny needs a friend' crowd, not the 'i'm a 2 year old and i like spongebob' crowd." 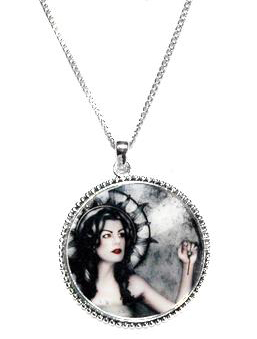 Here's some more very cool wearable art I found available at WizardSleeveToys. There are a few variations of these beautiful little pendants with chains. They do not seem to be a limited edition, but at $17.99 each you really can't go wrong!! Bounce over here to check them all out!!! Tyler Stout is releasing his Robocop poster and a print called Kukweaq. 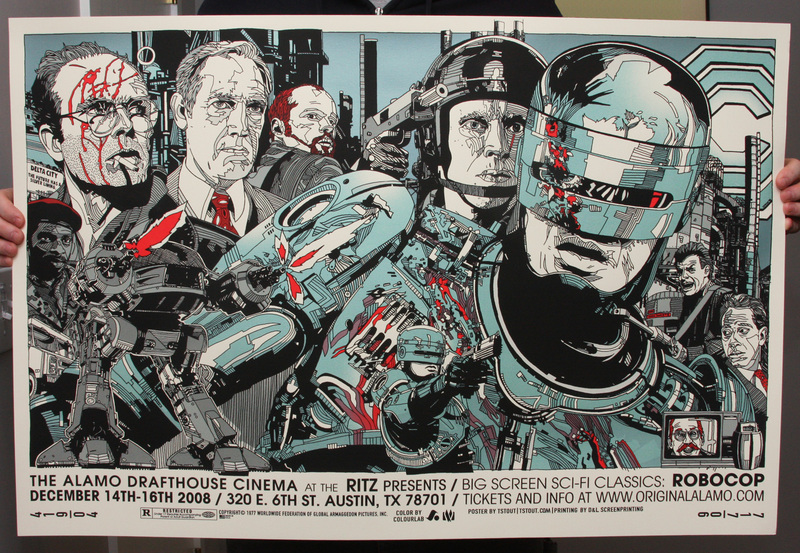 The Robocop poster is a monster at 36 x 24 inches screenprint for $35. He has 60 for sale. They are available (Wednesday, January 21st) at 3pm EST. His other art print called Kukuweaq II is a 18″ x 24″ glow in the dark print and it has an edition of 65 glows in the dark and is only $45. This one will be available (Thursday, January 22nd) at 3pm EST. Joshua Budich has just released another awesome poster, just in time for the inauguration. It's a much more creative print using the entire body as a further expression. Too many artists key only on Obama's face/bust and never take the bigger picture look. Grab the print here!! 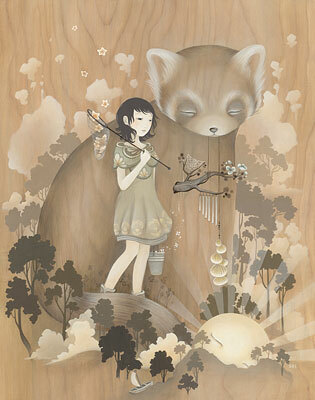 Nathan Ota has released a very cool (Brandi Milne-ish) print, the print is available through PaperTiger. Shortly after graduating in 1993, Nathan started working as a freelance Artist for newspapers, magazines, recording companies, background art for the gaming industry and galleries. 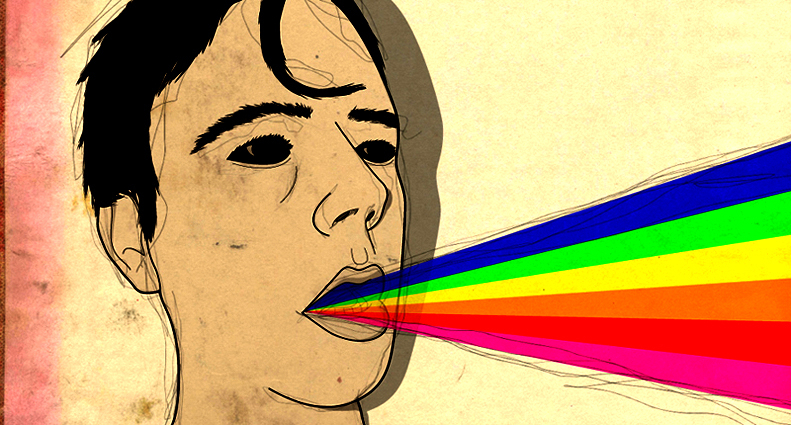 Now Nathan is branching out as an artist and really starting with a great print. 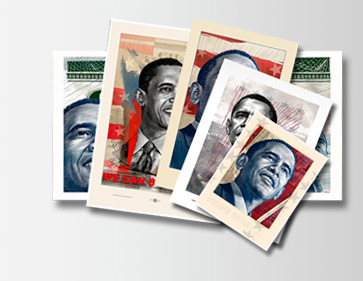 Antar Dayal has released a set of 5 of his Obama prints (some never before released) in honour of the first day of the new presidency, check out his site. 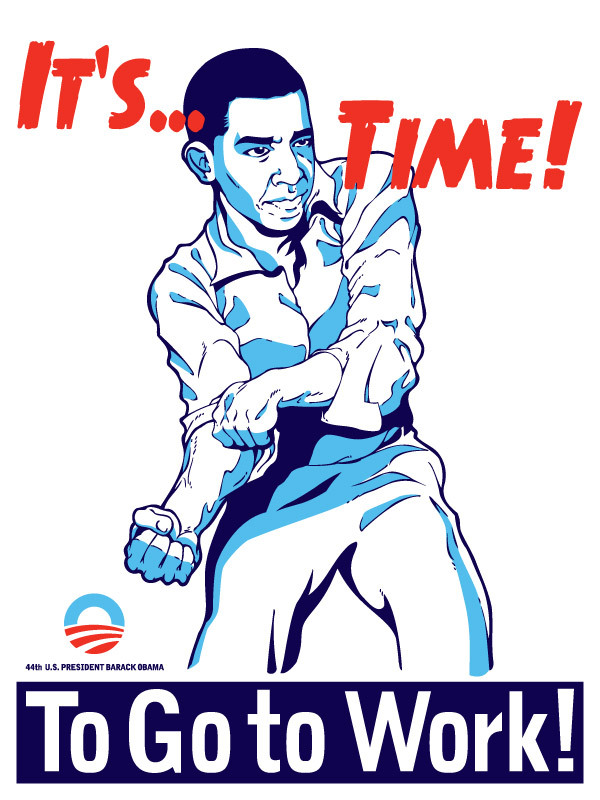 There are a few new Obama prints you might like. Check this awesome video out showing a lot of Space Invader's installations around Paris, France. Enjoy the cheesy techno!! Check out these cats at artichokeltd, they believe in sharing the love of art and not just capitalizing of the soaring value in art. (thanksy) They represent some bangers too, most notably Hush and Jeff Aerosol (love his tunnel work) Here is some of the fun stuff they are offering to all of us art lovers. 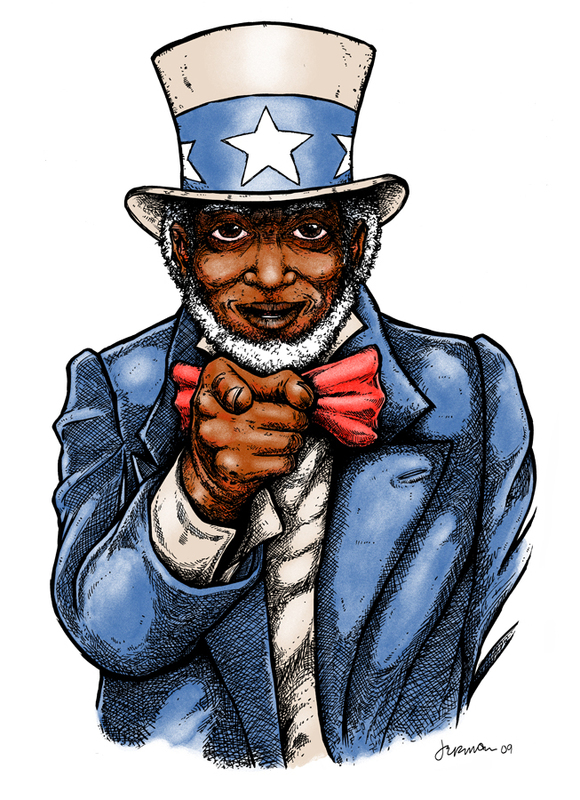 "Oh, I meant to mention….look out for the ‘1 pence print set’ coming soon. The new variation on the £1 print."